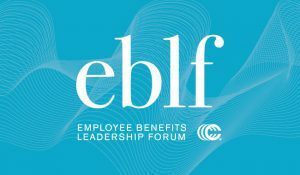 EBLF 2019 is May 28 – 31, 2019. 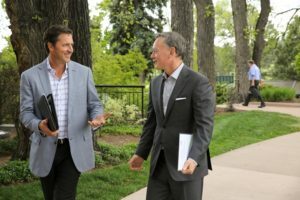 The Council’s Employee Benefits Leadership Forum convenes executives and industry leaders to collaborate on the most effective ways to support employers and their employees as the healthcare landscape transforms in a consumer-centric and tech-enabled era. Now more than ever, employees are the centerpiece of the broker-client relationship, and they expect their employer-sponsored coverage to be tailored to their needs. To remain competitive, employers must offer individualized benefits that combine customer service, clinical intervention and preventive care. As a result, employers and brokers are re-imagining health benefits in order to provide comprehensive coverage that focuses on everything from telehealth and financial wellness to genetic-based therapies. EBLF facilitates the opportunity to address industry-wide challenges—such as providing access to individualized and affordable care, and enabling cost and quality transparency—while at the same time providing the necessary resources and intelligence to navigate a changing healthcare delivery system that thrives on consumer choice and a consultative approach to care.